Toy recalls aside, there are more than enough goodies for Santa to pile in his sleigh this year. After wading through heaps of holiday toys and gifts, we give a look at 10 that rise to the top. Getting up close and personal takes on a new meaning with this microscope that plugs into the TV. Point the eyeball-shaped magnifier at anything, and an image 200 times its regular size pops up on the screen. Table salt looks like blocks of ice, skin appears scaly, and secret images on a $1 bill come into view. 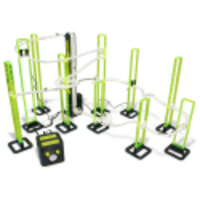 Pros: Inventive and fun, it brings science to playtime. Cons: The five AA batteries aren't included. This toy allows kids easy access to appropriate Internet sites. With the enclosed USB cord, the Launchpad connects to a computer. It comes with a trio of plastic figures or "smart keys" each denoting a particular site. Elmo represents the Sesame Street site, the two-headed dragon from "Dragon Tales" stands for the PBS site, and the puppy represents the Fisher-Price toys site. 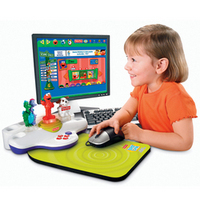 Kids plug a figure into Launchpad and it takes them to the respective site. There's no visiting another site until the figure is removed and replaced by another. Additional smart keys are sold in two-pack sets, including characters like Bob the Builder and Arthur. Pros: A safe, smart and entertaining introduction to computers. Cons: It's not Mac compatible. With a little ingenuity, a working pint-size roller coaster track comes to life on the living room floor. Magnets help shoot silver balls along the track and perform six different stunts. Kids can pick from 10 designs or make up their own. Its Sound FX Music Studio comes with 10 different musical backgrounds players can use to make their own musical mixes. And an input allows kids to plug in and play their MP3 players while the coaster is in action. Pros: Radical fun sneaks in an element of problem solving. Cons: It has 64 pieces just waiting to get lost. The twisting color-coded puzzle game from the '80s gets plugged in. This time, flashes of light and bursts of sound accompany six built-in puzzle games. Brain teasers and games of speed and reflex such as Code Cracker and Light Speed are among the choices. Geek out alone or choose multiplayer mode. Pros: It breathes new life into a classic brand. 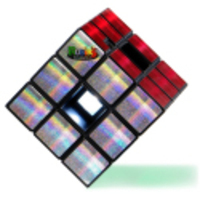 Cons: We miss the traditional Rubik's play. As Hannah Montana, Disney Channel staple Miley Cyrus is one of the hottest performers going. And playing with her doll likeness on a tricked-out toy stage may be the closest most kids will get to experiencing a show on the sold-out Hannah Montana tour. Lift the microphone to the mouth of the Barbie-size doll and it'll play a snippet from a Hannah Montana tune. It comes with a bracelet and poster. Kids can plug their MP3 player or other music source into the stage and use it as a speaker. Pros: May ease the pain for ticketless tweens. Cons: The stage doesn't include the required four AA batteries. Fisher-Price tackles couch potato lethargy and educational gaming in one swoop. This kiddie stationary bike plugs into a TV. As kids pedal and control the onscreen adventure, they learn upper and lowercase letters, shapes, matching and other preschool knowledge. The handlebars allow steering for driving and racing games, while a joystick comes in handy for arcade-style activity. And the seat adjusts so it grows with each kid. Kids can attach up to four game cartridges to a key ring and plug each cartridge right into the side of the bike. It comes with the Learning Adventure cartridge. Other games starring familiar brands and faces such as Dora, Hot Wheels and Barbie come separately at $19.99 each. Pros: Great blend of different play patterns and education. Cons: When playtime is done, where do you store the thing? With all the popularity of guitar toys and games these days, Gibson Guitar and Hasbro's Tiger Electronics saw fit to take the stage together and create a kid-friendly axe that teaches guitar basics. The stringless guitar, in a Gibson-style shape, has light-up touch sensors along its fret board. If a player misses a note, the guitar repeats that segment of music until he or she licks it. 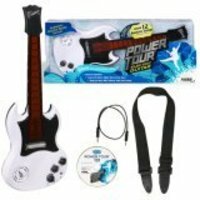 Though the guitar comes with a built-in speaker, players can pump up the volume by plugging into the Power Tour Amp ($49.99) sold separately. Rock out with backing tracks or plug in an MP3 player and play in tandem to a favorite song. Pros: Wannabe rockers get an early start. Cons: The amp isn't included. Why not just spring for the real deal and shell out a little more for lessons? Barbie Girls by Mattel. $49.88 shipped. Barbie goes digital. The 512 MB MP3 player holds between eight and 16 hours of music. It also helps girls plug into and enjoy BarbieGirls.com, a virtual online world with customizable characters, games, safe chatting and other activities. 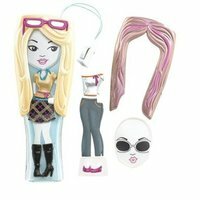 Girls decorate the character-shaped handheld player with different hairstyles, outfits and bling. Fashion and Deco Packs with additional snazz and special online content are sold separately ($9.99). If she's really into music, parents can spring for the 1 GB version ($79.99). Pros: Dual function means more Barbie for the buck. Cons: What happened to playing with dolls? Not Mac compatible. 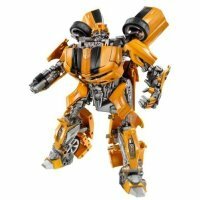 Transformers Movie Ultimate Bumblebee by Hasbro. $99.99 shipped. Sure, the price of this shape-shifting robot — one of the stars of the blockbuster "Transformers" movie — is enough to transform a wallet from full to empty. But kids manually change the 14-inch figure from a slick-looking robot into an equally slick Camaro. 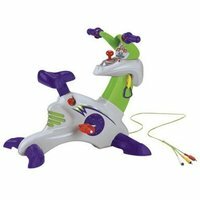 It fires a missile, has animated body parts, reacts to sound and boasts sound effects and music, including Devo's "Whip It." When rolling out in car mode, the 1/4-scale Camaro's lights shine and engine revs. Stop it and its taillights come on, its brakes screech or it blares out crashing sounds. Pros: Arguably one of the coolest characters in the film. Batteries are already on board. Shining Stars are poised to give Webkinz a run for its virtual money. When you buy one of the 24 different Beanie Baby-esque stuffed animals, you also get a special online code. 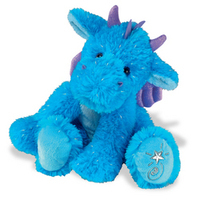 It allows the toy's owner to register and name a star with the International Star Registry. And the Shining Stars Web site puts each animal character in its own virtual world with games and other activities. Pros: Could jump start a fascination with astronomy. Cons: Yet another stuffed animal to take up toy box space. The good news is that you can now play the classic board game any way you want – that's because you're using your photos in it! 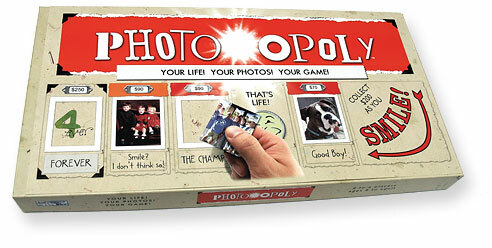 Photo-opoly – it's everything the original one was, but way more awesome. Cost $30 plus $6 for shipping. In the Return of the Jedi movie, C-3PO and R2-D2 gain entrance into Jabba's lair and are given an audience with the massive gangster. During their meeting, R2-D2 beams a message from Luke Skywalker where the fledgling Jedi requests a sit-down to bargain for Han Solo's hide. 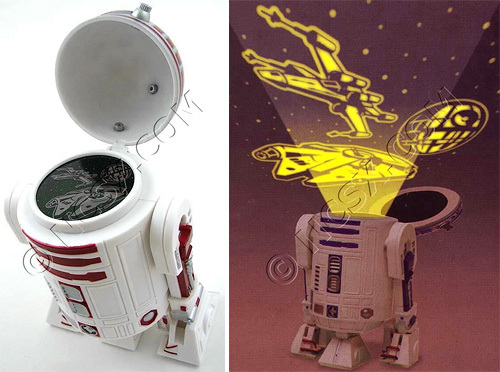 Banpresto's R2-D2 Night Projector is sort of light that. Instead of projecting a 3D holographic movie however, the projector lights up the room with images of a partially completed Death Star, an X-Wing Fighter, and the Millennium Falcon against a backdrop of stars. This is a fun educational aid product designed to demonstrate scientific concepts taught in school curriculum. Ready for take off! Kit contains everything you need to learn how spinning motors and plastic discs are used to launch a paper plane at up to 31 mph (50km/h). 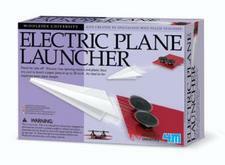 An ideal kit for exploring paper plane designs. This kit was designed at Middlesex University by specialists who teach teachers. Each kit is thoroughly researched and encourages young people to stretch their skills and thinking. Contains Base plate with guide, Plastic discs with pulley, battery box, motors, plastic rings (grommet), plastic suction cups, sticky pads, short screws, long screw, connecting sleeves x 4, terminal block, nuts, wire and screw driver. 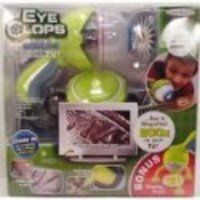 Available at OnlineSciencemall.com for $14.95. The wacky potato is up to his usual antics, this time disguised as the fearless AUTOBOTS leader! He and his faction of taters are battling the evil DECEPTICONS. Starchy situations call for a quick change – from truck to robot! No ordinary fries, these are POTATOES IN DISGUISE! Mix and match all the pieces to create all sorts of wacky looks! Potato body comes with mix and match OPTIMASH PRIME and potato parts. Turn all the evidence of your white-collar criminal activity into pieces so small your local CSI team will not be able to peace together the evidence against you. 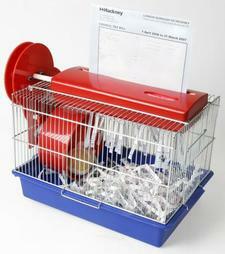 This Hamster Powered Paper Shredder is a concept by artist Tom Ballhatchet that will be on display in Milan next week. The device works like this: the hamster runs on the wheel, which powers the shredder, which shreds the paper into hamster bedding. Engage in soaking skirmishes with this Radio-controlled Water Cannon. Adults and kids alike will delight in these high-quality pool toys. Drag and Draw is a set of digital drawing tools. It consists of a multicolor 'Brush', an 'Eraser', and a 'Magic Wand' to bring their drawings to life and a 'Bucket' to project the virtual drawings onto the wall. Buy.com has the BenQ MP510 DLP Projector for the Bottom Low Price of 499 with no tax and free shipping. (800x600, 1500 Lumens, 2000:1, HDTV - MPN: MP510) The MP510 digital projector is a high-value, general-purpose unit that is ideal for home and business applications. It offers a strong mid-range solution for open environments such as living rooms and conference rooms, featuring SVGA native resolution of 800 x 600, a brightness of 1500 ANSI lumens and a 2000:1 contrast ratio..